This is a continuation of yesterday’s post on the NAIA Expressway. This time, I am posting on the trip back from Terminal 2 to Terminal 3. It cost us 45 pesos, which is the same toll fee we paid for the reverse direction. Here are photos I took of NAIA X with some comments on the sections and signs. Vehicles coming from Terminals 1 and 2 would have to take the on-ramp after the intersection of NAIA Road and the Paranaque-Sucat Road (Ninoy Aquino Avenue) and just before the intersection with the Domestic Airport Road. That’s the Park’N Fly building that is located at the corner of the NAIA Road-Domestic Road intersection. Vehicles bound for Terminal 3 and the Skyway should keep right. Traffic will merge with those coming from Macapagal Boulevard. The three lanes include the merging lane at right. Noticeable along the NAIA X is the lack of shoulders. Although the lanes appear to be wide, drivers may become uncomfortable when two vehicles are side by side due to the perception of constricted space. There are lots of reflectors installed on the media barriers. There are also a lot of ad space with tarps installed on each lamp post along the expressway. Sign informing travelers of the toll plaza coming up ahead. Directional sign guiding vehicles bound for the Skyway or Terminal 3. My colleagues and I agree that instead of just stating “Skyway”, the sign should state “Skyway/C5/Nichols”. Travelers who are not heading south and unfamiliar with the NAIA X off-ramps would likely take the Terminal 3 exit and end up passing through T3. There is actually another off-ramp leading to Andrews Avenue and eventually Sales Road (formerly Nichols) so you don’t have to pass through T3. We made that mistake and ended up going through T3. Standing vehicles right next to the off-ramp with their drivers likely waiting to fetch arriving passengers. It is practically impossible to make a hard left to avoid going into T3 so you have no choice but to go through the terminal via the departure level (elevated) or the arrival level (ground). Last Friday was our first time to use the NAIA Expressway. This was one of the major projects under the last administration and under the Public-Private Partnership (PPP) program and became operational last year after being delayed (It was not operational during the APEC summit in 2015.) for some time. I also commented on the need for NAIA X in one post before as I preferred to have a transit system instead. 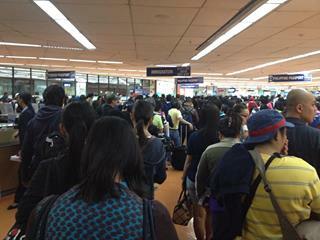 NAIA X is basically and mostly beneficial to cars and not necessarily for public transport. It also practically limits if not eliminates the possibility of having elevated transit (e.g., monorail or AGT) to connect the 4 terminals among them as well as to areas outside the airport zone (BGC, Makati, etc.). I thought this post would be a useful one for travelers especially those coming in and out of the airports at this time of the year. A lot of people are departing or arriving at the Ninoy Aquino International Airport (NAIA), which is a main gateway to Metro Manila and adjacent regions. It can get congested along the roads between the four terminals of the airport and since there is not internal transport system linking them, travelers would need to travel along public roads. It cost 45 pesos (less than 1 USD) for the stretch from Terminal 3 to Terminal 2 (same if you’re headed for Terminal 1), and I thought it was well worth it considering it can really be quite congested between the 4 terminals. That congestion has already victimized a lot of people before with many missing their flights. But then perhaps one major cause of that congestion was the construction of the NAIA Expressway? Terminal 1 – is the international terminal for ALL foreign airlines except All Nippon Airways (ANA), which uses Terminal 3. It is located along the Ninoy Aquino Avenue from the NAIA Road. Terminal 2 – also called the Centennial Terminal because it opened in the year the Philippines celebrated 100 years of proclamation of independence from Spain (1998). 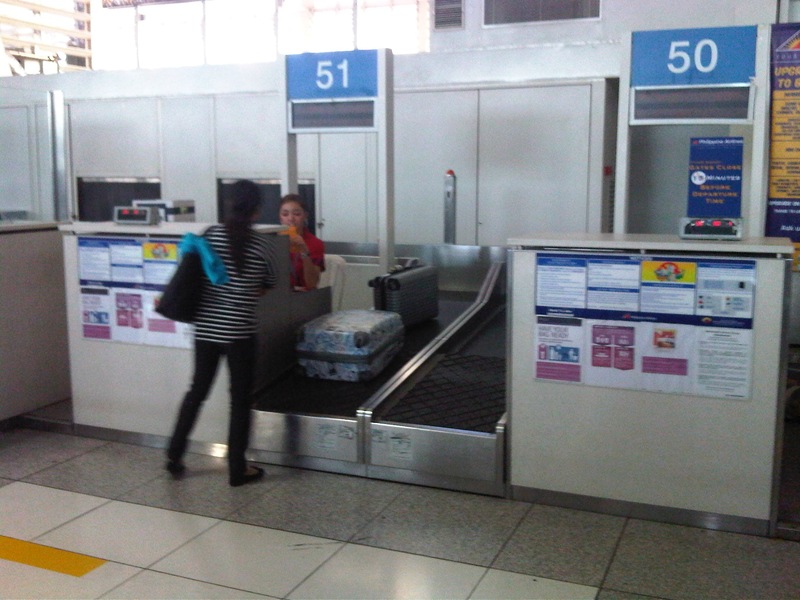 It is used exclusively by Philippine Airlines (PAL) for both international and domestic flights. International flights use the north wing while domestic ones use the south wing. Recently, PAL transferred several domestic flights to Terminal 3, retaining only major domestic destinations at Terminal 2 (e.g., Cebu, Davao, Iloilo, Bacolod, etc.). For a complete list on which domestic flights are on T2 or T3, one can consult the PAL website. Terminal 2 is located at the end of NAIA Road. Terminal 3 – the newest of the three main terminals, it is located beside Villamor Air Base (actually part of it was carved out of the base) and across from the Resorts World Manila complex. It is used mainly by Cebu Pacific (Ceb Pac), currently the country’s largest airline, for both international and domestic flights. 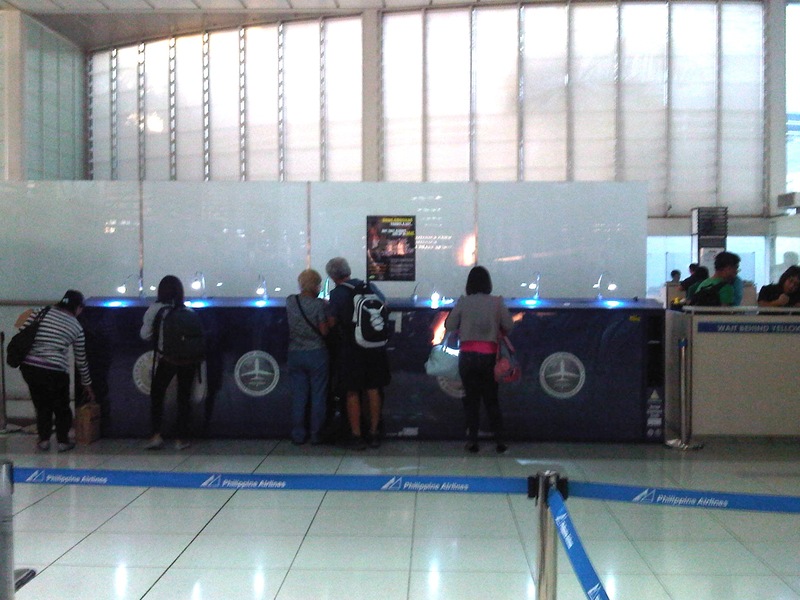 Other airlines using Terminal 3 are ANA and Airphil Express, which is a budget subsidiary of PAL. The terminal is located along Andrews Avenue at the end of Sales Road (from Fort Bonifacio). Domestic Terminal – now also called Terminal 4, it is the old terminal along the Domestic Road that used to be called the Manila Domestic Terminal where PAL, Cebu Pacific and other airlines used to operate domestic flights. At present, it is used by Zest Air and Seair. 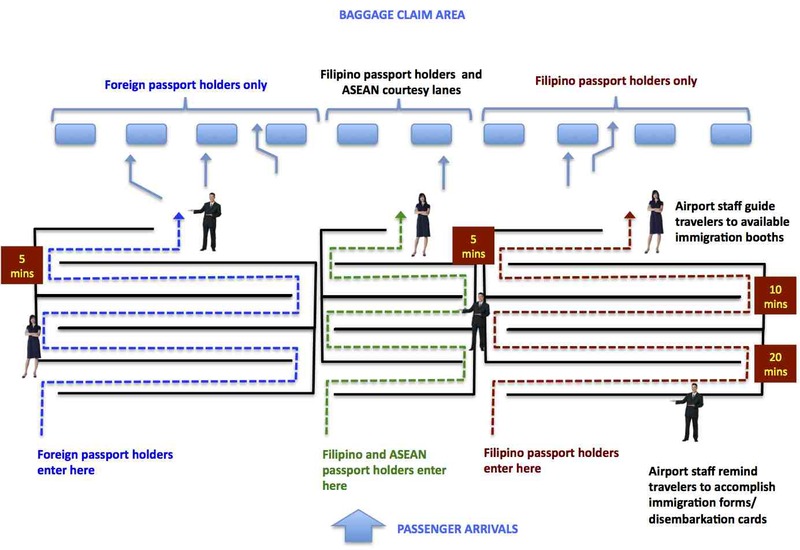 More detailed information on these terminals may be found at the website of the Manila International Airport Authority (MIAA). There are no internal connections between the 4 terminals operating within the NAIA complex such as AGTs, monorails. There are shuttle buses that travel between these terminals but they use the public roads rather than an internal road exclusive for the airport. As such, these shuttles are subject to traffic congestion and possible delays. The MIAA website states that using the shuttle buses are free but I saw a sign at Terminal 3 showing that there is a flat rate of PhP 20. While the fare would probably cover fuel, maintenance and other costs, it can also be argued that this service should be free at least for passengers and covered by airport authorities as part of the services they provide to travelers. Perhaps passengers can present their tickets before boarding the bus. Others may be required to pay the PhP 20 fare. 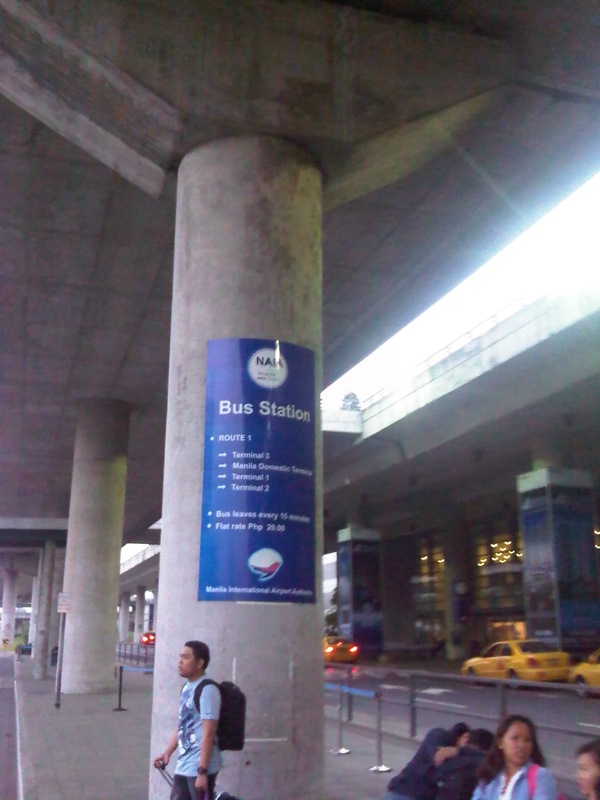 Bus station/stop at the NAIA Terminal 3 – the station is located at ground level (arrivals) beneath one of the overpasses (departure level) and across from the airport taxi stand (shown in the photo). Shuttle buses are scheduled to depart every 15 minutes according to the sign.